I’m a lumberjack, and I’m okay. And have buttered scones for tea… — Monty Python. 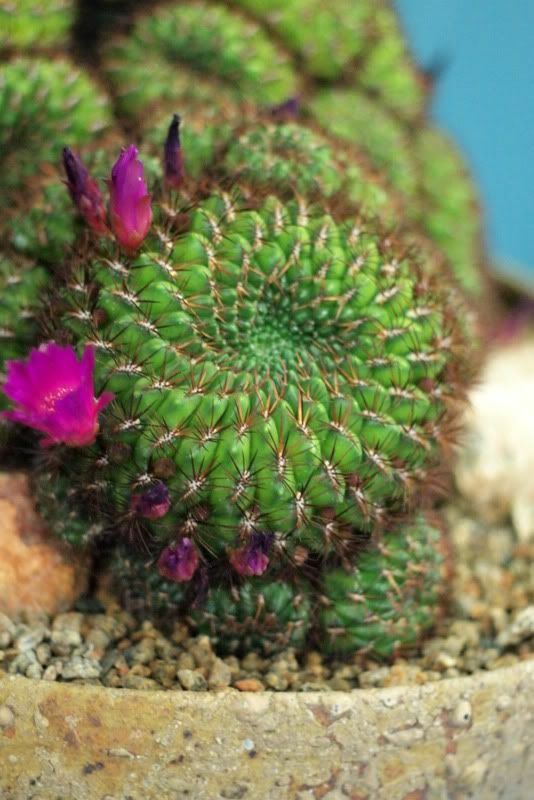 Mammillaria decipiens var. camptotricha and fuchsia-flowered Sulcorebutia mentosa. There are guy plants and chick plants, Walkowiak said as he tended potted cactuses atop tables in his Escondido backyard. 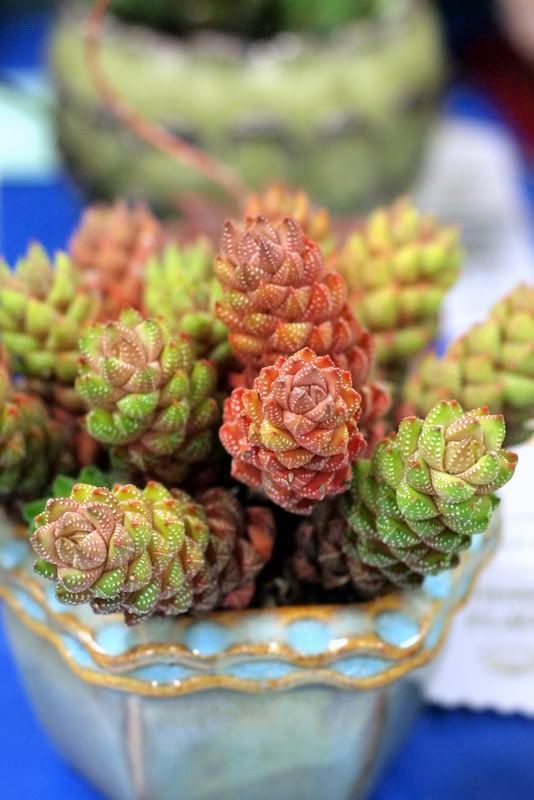 Women leave plant sales carrying smooth-leaved rosette succulents, like aeoniums and echeverias. Men prefer spiny plants. It’s the danger factor. Cacti are edgy. Quoted from “Succulents Loom Large,” by Debra Lee Baldwin in her 4/15/11 article on Peter Walkowiak published in The San Diego Union-Tribune. Bow-tie leaves of Titanopsis calcarea and crocus-like flowers of Gymnocalycium doppianum. Manly or girly? 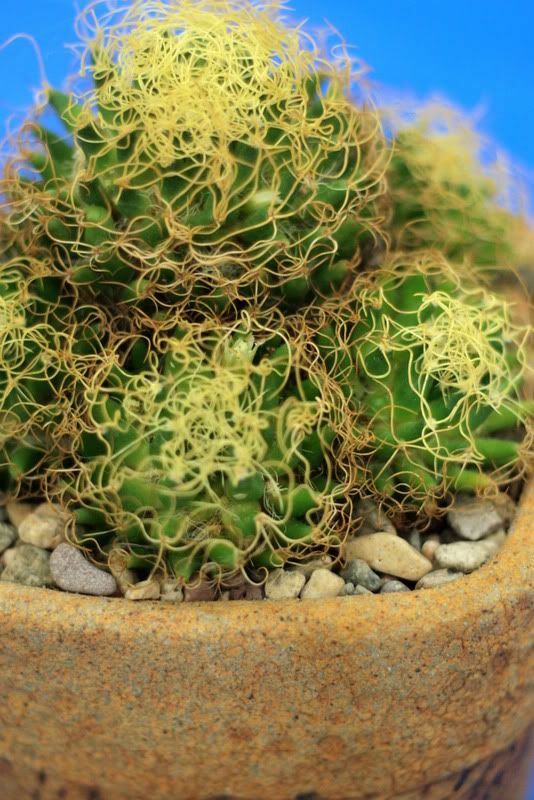 Gymnocalycium multiflorum. I would think the appeal of great plants is androgynous. 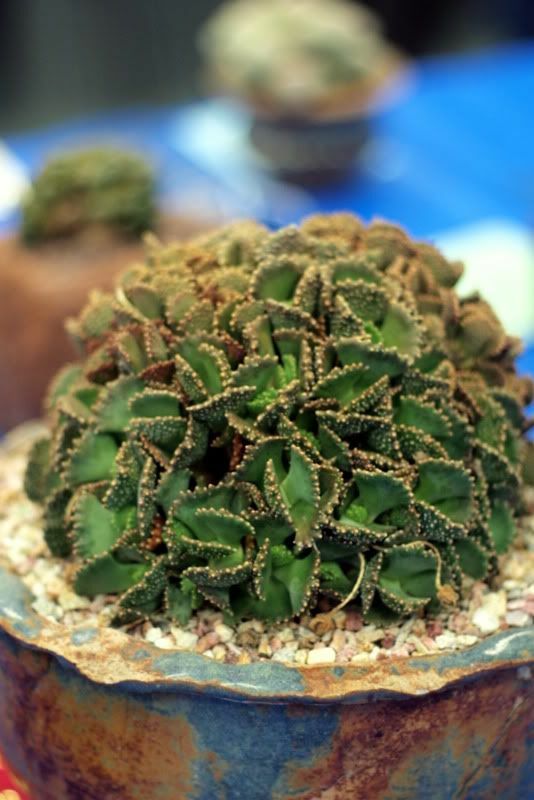 But Mr. Walkowiak would be the one to know, having observed the buying habits of the public at countless plant shows. And he’s right, I’ve been slow to warm up to these tightly constructed, bristly confections, like xeric counterparts of alpine plants, that also seem expressly designed by extreme habitats for our doting pot culture. 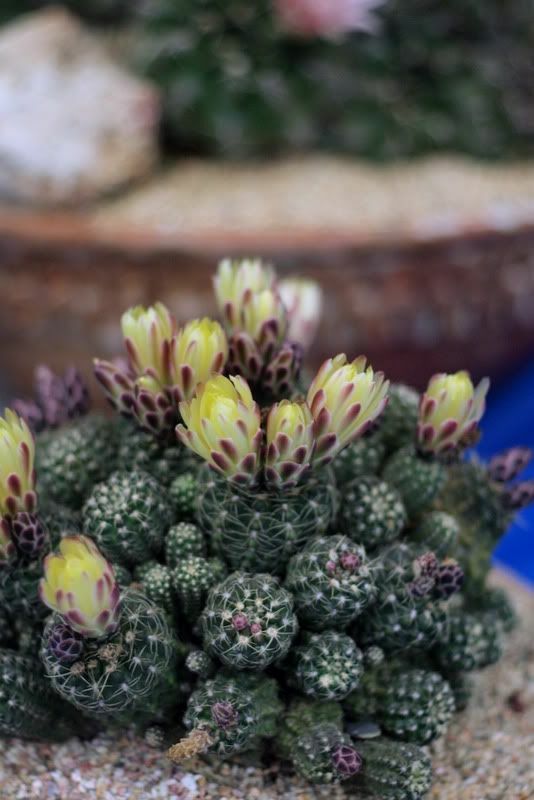 This entry was posted in garden travel, Occasional Daily Photo, Plant Portraits, pots and containers and tagged Debra Lee Baldwin, Gymnocalycium doppianum, Gymnocalycium multiflorum, Los Angeles Cactus & Succulent Society, Mammillaria decipiens var. camptotricha, Monty Python, Peter Walkowiak, San Diego Cactus and Succulent Society, Sulcorebutia mentosa, Titanopsis calcarea. Bookmark the permalink. Gorgeous pics!!! I used to be more manly in my plant selection, but a couple of years of weeding around the pokey ones makes me think twice about bringing home the stabbers recently. 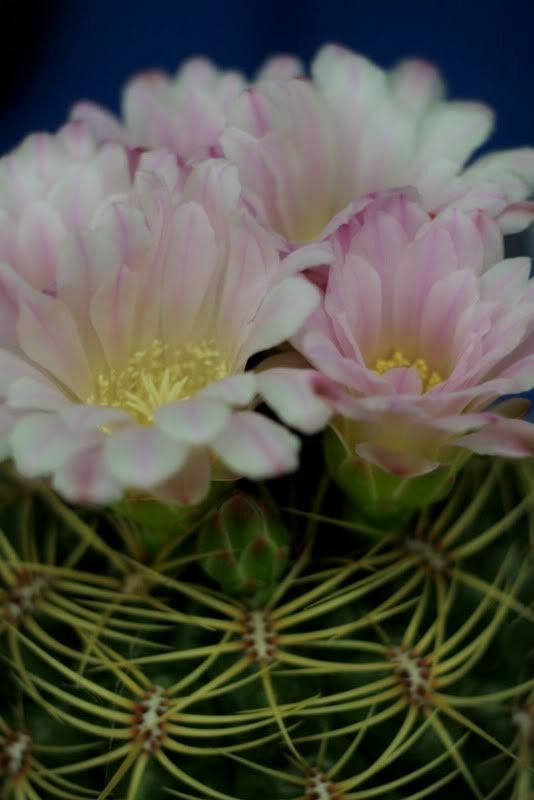 With a name like Mammillaria that first one can’t be but so manly. Megan, so true. I’m not sure my hands have the steadiness to weed around cacti. Certain friends of mine have accused me of loving succulents because so many of them are openly, um, manly in appearance. I think they’re reading too much into things but they also might be onto something … I didn’t find the examples in this post particularly manly, up-front, to me they have an appeal that’s beyond gender, maybe it’s the flowers…. anyways, I love ’em all!